I’ve been talking about writing magazine nonfiction for young people (click the “writing for magazines” link in the labels list). This week covers advice on how to get started. 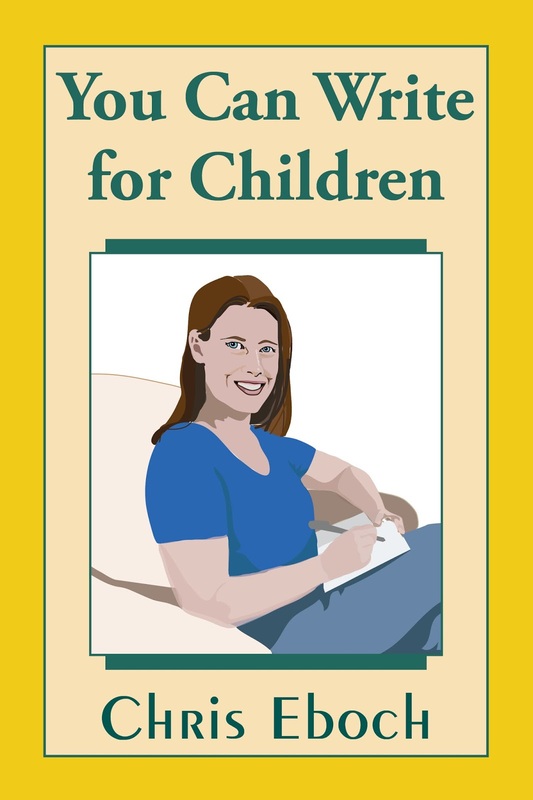 The following is excerpted and adapted from You Can Write for Children: A Guide to Writing Great Stories, Articles, and Books for Kids and Teenagers. While new writers often aim for the best-known magazines, it’s easier to break in at smaller specialty or regional publications. 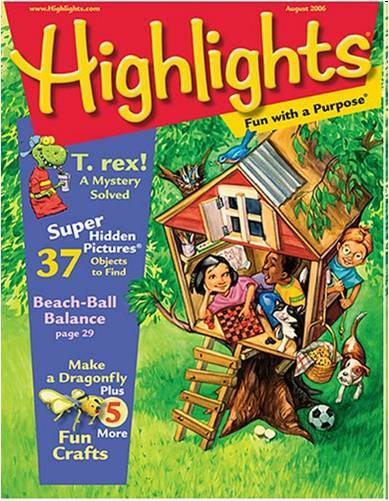 Highlights for Children may be found in homes, libraries, and doctor’s offices across the country, but because it’s so well known, the editors receive about 800 manuscript submissions every month. That’s a lot of competition. Meanwhile, the lesser-known classroom magazine Current Health Kids only receives one or two submissions each month. Magazines with a narrow and unusual focus may have a hard time getting enough material, so when they find a good writer, they want to build that relationship. 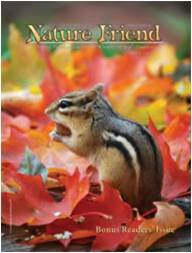 You’ll find thousands of specialty magazines listed in market guides. Even if your focus is writing for children, you might also consider writing for publications aimed at teachers, parents, librarians, or local families. Maybe a city or regional magazine would be interested in an article about a children’s museum or a great family vacation spot. As the relationship develops, it typically gets even easier to make a sale. “Their queries might be slightly less detailed, and they won’t need to send a writing sample,” Lusted says. To build a magazine career, the path is clear: find your passion, explore a niche, target specialty magazines, and develop long-term relationships with editors. And if you still dream of being featured in a well-known magazine? You can submit work there as well. But looking at less competitive magazines can help you build your skills, get some writing credits, and maybe even earn a few dollars. Stop by next Wednesday for advice on writing nonfiction books– or subscribe to get posts automatically and never miss a post. You can use the Subscribe or Follow by E-Mail buttons to the right, or add http://chriseboch.blogspot.com/ to Feedly or another reader. You can get the extended version of this essay, and a lot more, in You Can Write for Children: A Guide to Writing Great Stories, Articles, and Books for Kids and Teenagers. 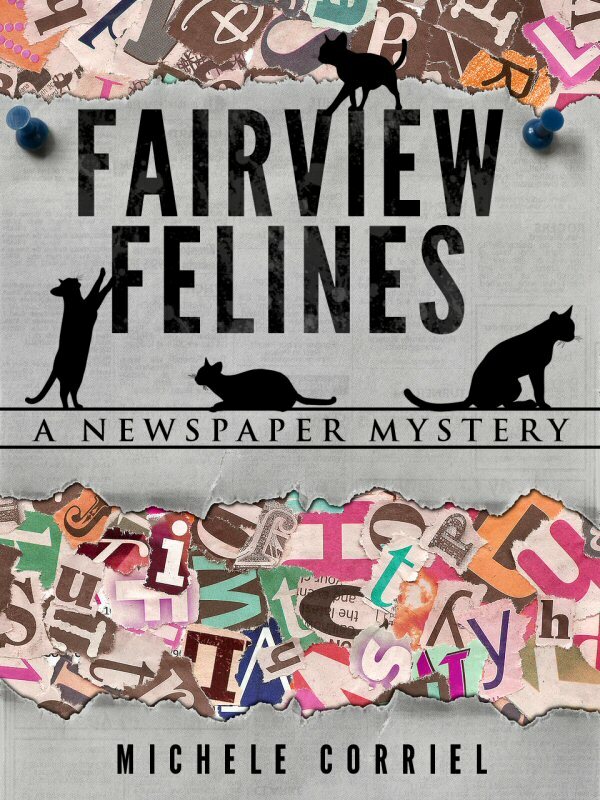 Order for Kindle, in paperback, or in Large Print paperback. I've been talking about writing articles for children (click the "nonfiction" link in the labels list). Today I'll go into more detail on analyzing magazines, so you can target your work properly. 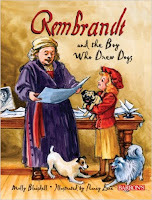 The following is excerpted and adapted from You Can Write for Children: A Guide to Writing Great Stories, Articles, and Books for Kids and Teenagers. You've discovered a magazine you'd like to write for, perhaps by browsing a market guide. The first step is to pick up a copy of the magazine, if you don't already have one. Fortunately, today many magazines have sample copies online, so you won't have to order one from the publisher or track it down at a newsstand. By studying the magazine along with any writing guidelines on the publisher's website or in a market guide, you'll learn how to pitch your work to the magazine. 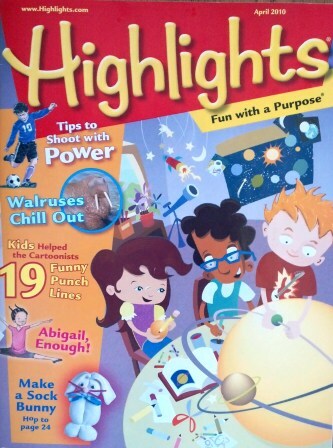 First study the cover and slogan (for example, Highlights has the slogan "Fun with a Purpose. "): what is the magazine’s focus? Turn to the table of contents. What can you learn there? · Are many articles written by one person? Is that person listed in the masthead as staff? Articles that are written "in-house" by staff mean you probably won't be able to sell something to that section. · Are there regular departments? Who writes these? They may have a regular writer, or it may vary. · This page may include submission guidelines. · What types of stories/articles does the magazine use? Be as specific as possible, listing genres, topics, types of activities, and so forth. · Does everything relate to one theme? 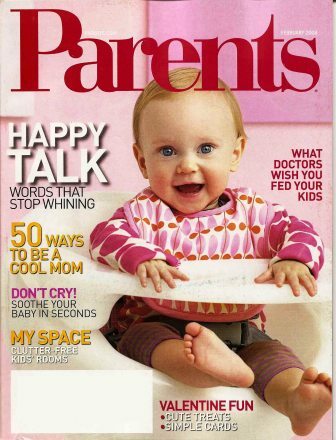 Many magazines, especially those with a nonfiction focus, have a theme list for each month. For example, a history magazine may cover ancient Egypt one month and ancient Greece another month. You can typically find theme lists for future issues on the publisher's website, along with writer's guidelines. · What is the breakdown of fiction, nonfiction, activities, and regular departments? Many magazines are primarily or exclusively nonfiction, which is an advantage to nonfiction writers! · How long are most pieces? This will help you determine the length of your piece. Note also that short pieces have to be very focused on a narrow topic. · How are pieces illustrated? What kind of sidebars do they use, if any? (A sidebar is a short piece of extra information, possibly set off in a box. It may include fun facts, a bulleted list, an example, or other information that relates to the main topic but doesn’t quite fit in the main article.) Could you include photos or sidebar information, which would make your article even more appealing? 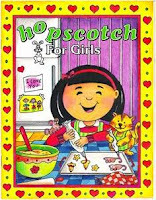 · Are they geared toward girls, boys, or both? · What can you tell about the magazine’s style? Is it wholesome or edgy? Is it focused on health, history, science, religion, or celebrity gossip? Is there a certain tone? 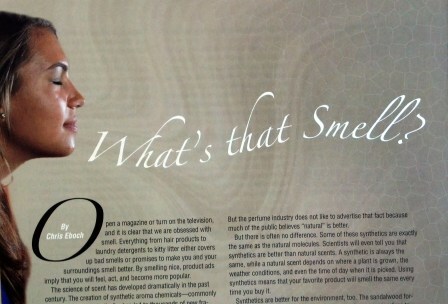 As one example, if a magazine uses recipes, are they healthy, or very easy, or fun to look at, etc. What kinds of stories would your target magazine want? You could start by figuring out what topics the magazine might like and see if any interest you. Or you could write down a list of your hobbies and interests, and then check which ones might fit that magazine. When developing an idea, keep the focus narrow. Think “how hummingbirds hover” rather than simply “hummingbirds.” Try “the invention of the fork” rather than “a history of utensils.” You’ll only have a few hundred words, so it’s better to go deep into a narrow topic than to skim over a broad topic. · Is this idea appropriate for the magazine’s readership age? Will they understand and be interested in the topic? · Can I write this article within the magazine’s word limits? Do I need to focus it more? · What will readers take away from my article? · Why would the reader be interested? Stop by next Wednesday for advice on breaking into the magazine market – – or subscribe to get posts automatically and never miss a post. You can use the Subscribe or Follow by E-Mail buttons to the right, or add http://chriseboch.blogspot.com/ to Feedly or another reader. At our local SCBWI meeting this week, we discussed our writing goals – successes from last year, and goals for 2016. Since one of the big challenges is finding the time to make things happen, I wanted to reprint this article (originally from Children’s Writer). Yet if you want to be a writer, you must find time to write. Becoming a writer requires commitment. If you don’t take your work seriously, your family and friends certainly won’t either. Let them know how important writing is to you. Insist that writing time is your time, and you must not be disturbed. Carve out a few hours each week. Then close the door and ignore your phone and e-mail, or take your laptop to the library. Try trading babysitting with other writing parents. Or start a play group/writers group: the kids play, the parents write or critique. You can’t do it all, so decide what’s most important. Then look for areas to cut back. Reduce your work hours, or cut commute time with a job closer to home. Commute by bus and write as you ride. Arrange car pools or play dates for your kids. Dictate into a tape recorder as you walk for exercise. Let the housework slide, and make quick meals. Cut back on email, web surfing or TV. Put your family to work as well. Train your kids to do housework and cook one dinner per week – they’ll learn important skills while you get free time! When a real crisis intrudes – sick kids, ailing parents, a job change or divorce – you may need to take time off from writing. Just don’t let it drag on forever. Plan how you’ll handle the crisis, and schedule a time to return to writing. In the meantime, read writing magazines or books for a few minutes each week to keep your focus. Spending even five minutes a day thinking about your writing can make it easier to transition back into writing more, without feeling like you’re starting from scratch. How about your time? Where does writing fit in your life? Decide, and make a commitment to your work. Then repeat this mantra: I am a writer, and writers write. 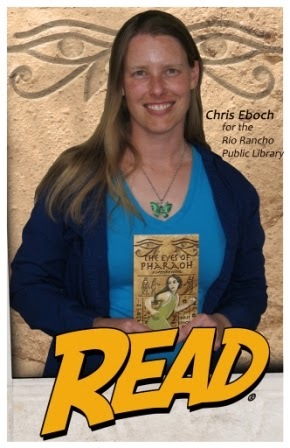 Chris Eboch writes fiction and nonfiction for all ages, with 30+ traditionally published books for children. 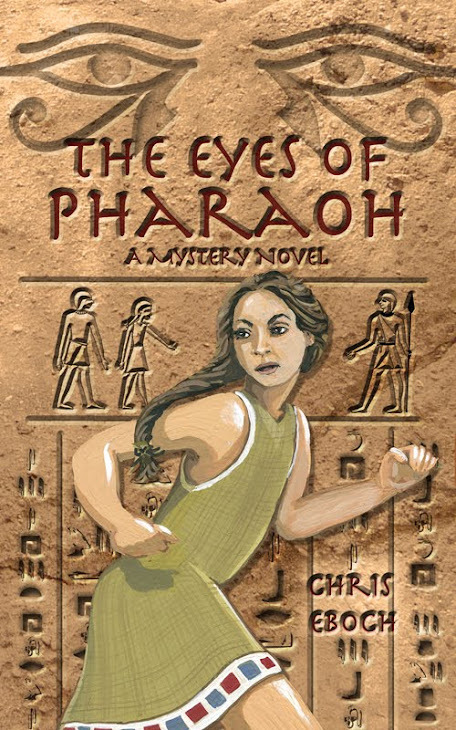 Her novels for ages nine and up include The Genie’s Gift, a middle eastern fantasy, The Eyes of Pharaoh, a mystery in ancient Egypt; The Well of Sacrifice, a Mayan adventure; and the Haunted series, which starts with The Ghost on the Stairs. 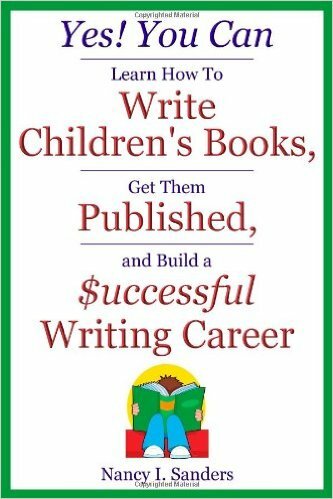 Chris’s writing craft books include You Can Write for Children: How to Write Great Stories, Articles, and Books for Kids and Teenagers, and Advanced Plotting. Learn more at www.chriseboch.com or her Amazon page, or check out her writing tips at her Write Like a Pro! blog. Chris also writes for adults under the name Kris Bock. “Kris Bock” writes action-packed romantic suspense involving outdoor adventures and Southwestern landscapes. 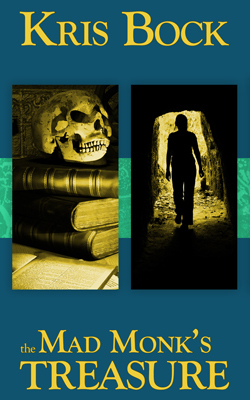 The Mad Monk’s Treasure follows the hunt for a long-lost treasure in the New Mexico desert. 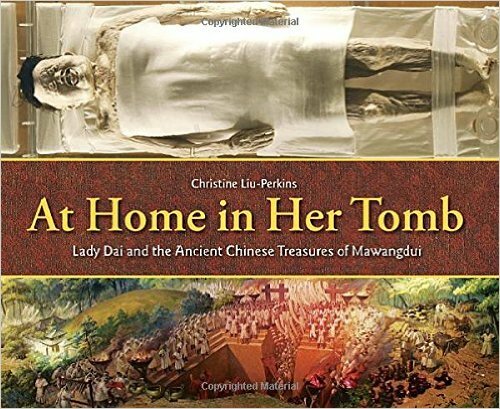 In The Dead Man’s Treasure, estranged relatives compete to reach a buried treasure by following a series of complex clues. In Counterfeits, stolen Rembrandt paintings bring danger to a small New Mexico town. Whispers in the Dark features archaeology and intrigue among ancient Southwest ruins. 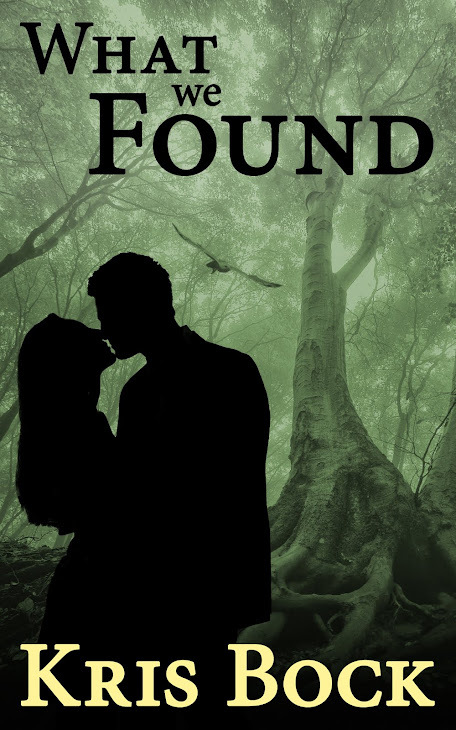 What We Found is a mystery with strong romantic elements about a young woman who finds a murder victim in the woods. 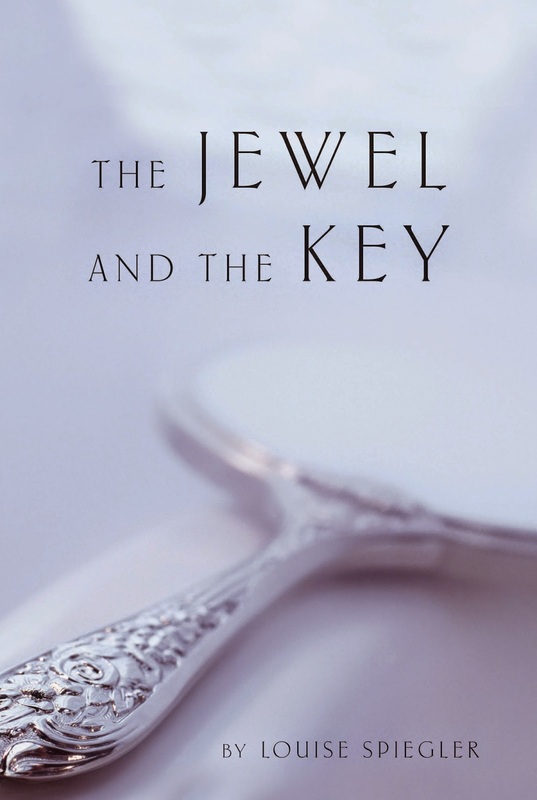 Read excerpts at www.krisbock.com or visit her Amazon page. Sign up for Kris Bock newsletter for announcements of new books, sales, and more. 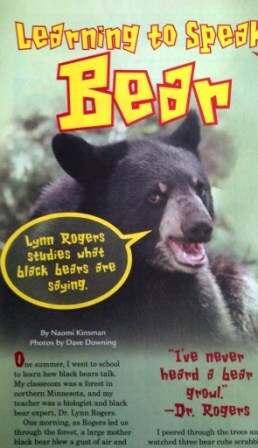 Last week I discussed Why You Should Write Magazine Nonfiction. This week let's explore magazine market research. The following is excerpted and adapted from You Can Write for Children: A Guide to Writing Great Stories, Articles, and Books for Kids and Teenagers. A lot of people are intimidated by nonfiction but then find writing articles fun and interesting once they try a few. As a bonus, it can be easier to sell nonfiction because there’s more demand for nonfiction articles, but fewer people write them. 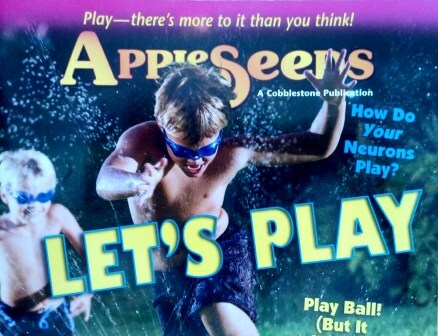 Most children’s magazines use some nonfiction but not get many submissions. 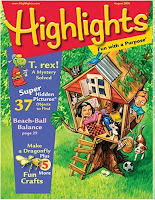 For example, Highlights publishes about equal amounts of fiction and nonfiction, but I’ve heard the magazine receives about 90% fiction submissions. And then there are many magazines focused on topics such as science and history, which only publish nonfiction. Plus, if you are fairly new to modern children’s lit, studying magazines is a way to learn more about writing for different ages. The Cricket Magazine Group is a great place to start. They publish 14 magazines. Some are fiction and some are nonfiction, and they cover age ranges from birth to teen. You can read an online sample of each magazine on their website. You may have a good idea of what you want to write; for example, maybe you are primarily interested in fiction for ages 4-6. But give the other magazines a look anyway. You may have a great idea that would be better for a different age range. 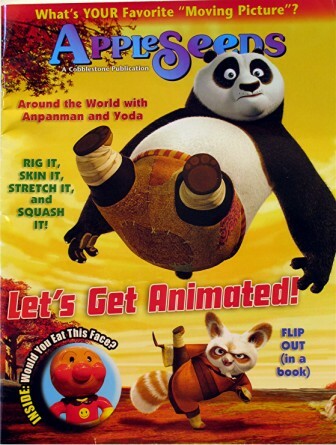 A search for “children’s magazines” will also bring up lots of links. Many are sites selling magazines, but they give you an overview of what’s being published. 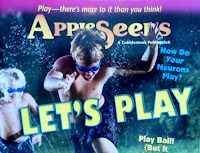 If you are interested in writing about a particular sport or hobby, you might find a children’s magazine that addresses it. 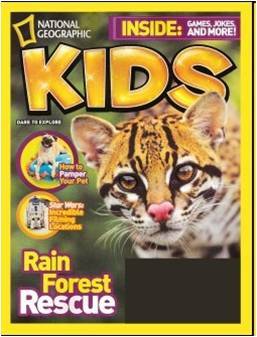 Most religious groups also have their own magazines for children. Once you identify a couple of magazines that interest you, check out their writer’s guidelines. An internet search for the magazine’s name plus “writer’s guidelines” or “submission guidelines” usually does the trick. It’s important to study those guidelines, and also actual copies of the magazine, before you submit work. Even magazines that seem similar can be quite different in their requirements. 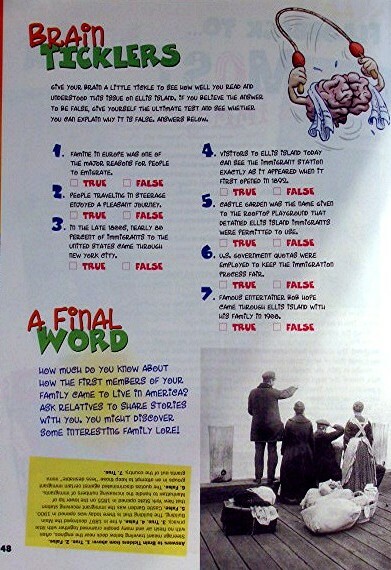 For example, some religious magazines focus on Bible stories, while others want modern true anecdotes. In some, the message can be subtle and God need not be mentioned, while in others, the focus should be on God providing guidance. You might also get ideas for how best to craft an article or story that will appeal to that magazine’s editor. 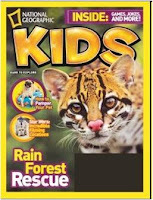 Studying National Geographic Kids several years ago, I noticed that most articles were broken into short bites of information, such as “10 Cool Things about Dolphins.” If I wanted to pitch an article to them, I’d try to do something similar. · What is the target age level? 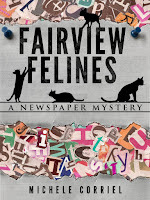 · Do they use both fiction and nonfiction? If so, what is the rough percentage of each? · What is their maximum word count? Do most of the stories/articles seem to be at the longer end of the range or at the shorter end? · Are they open to submissions? What do they want (e.g., a query letter, a proposal, the complete manuscript, a writing sample)? · Do they list any topics or genres they don’t want? (e.g., no articles about insects) Note that some magazines may use their own staff for certain items. 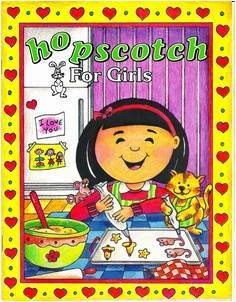 For example, they may publish puzzles, but do them all “in house” so they don’t take submissions of puzzles. 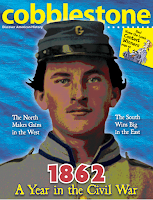 Get magazine samples at your library, school, or house of worship; requests sample copies from the publisher; or visit publishers’ web sites to see if they have online samples. Stop by next Wednesday for more advice on analyzing the magazine market – or subscribe to get posts automatically and never miss a post. You can use the Subscribe or Follow by E-Mail buttons to the right, or add http://chriseboch.blogspot.com/ to Feedly or another reader. The following is excerpted and adapted from You Can Write for Children: A Guide to Writing Great Stories, Articles, and Books for Kids and Teenagers. Beginning writers often focus on trying to publish picture books or novels. However, many career writers – those who make their living from writing – do at least some nonfiction work for magazines. For example, in the tax year before this writing, I sold over a dozen articles, earning over $3000. That's more than I made from novel advances and royalties combined. Checking writer’s guidelines is important, because magazines often have strict rules for article lengths and the topics they cover. Some even use theme lists, with each issue covering a specific topic, such as a particular aspect of history or science. 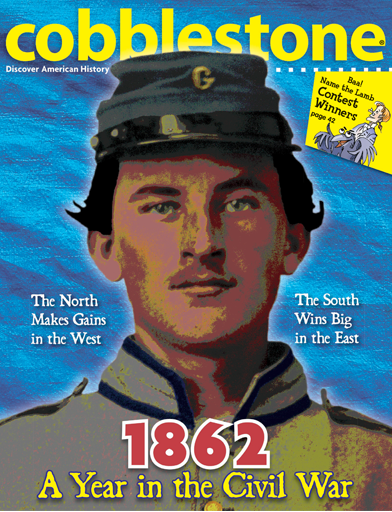 One advantage to writing magazine nonfiction is that you can sometimes pitch an idea instead of submitting a completed article. Even if a magazine only accepts finished articles, you can suggest other ideas in your query letter. Stop by next Wednesday for advice on researching the magazine market – or subscribe to get posts automatically and never miss a post. You can use the Subscribe or Follow by E-Mail buttons to the right, or add http://chriseboch.blogspot.com/ to Feedly or another reader.